2010 was a rough year for security guards within shouting, choking or poking distance of Floyd Mayweather Jr. and his entourage. With four separate cases filed against the boxer for assault conducted himself on security personnel or by his own security on others, it seems that no one is safe. Mayweather has yet to face any repercussions from the suits though they all carry the possibility of fines and jail time. March 27, 2010. Complaint- A fan outside of the Palms Casino in Las Vegas asked to take a photo with Mayweather. Mayweather considered the man disrespectful and ordered him beaten by his security. He was allegedly hit in the face, slammed to the ground and kicked repeatedly. The Palms has also been named in the suit for not providing adequate security on the premises. November 15, 2010. Complaint- Under similar circumstances as those the previous month, a single security guard was warning Mayweather about violations stemming from having two many vehicles parked at the home in the same Southern Highlands neighborhood. Mayweather allegedly verbally berated the man and poked him in the face just below the eye. 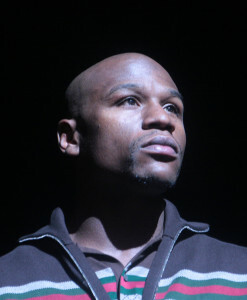 Most recently Clark County District Court Judge Kenneth Cory, who agreed with Mayweather’s legal counsel that the complaint is too vague to support the causes of action, dismissed the case filed in May, stemming from the January 2, 2010 incident. One of the chief issues is that Gerling (the assaulted guard) does not have knowledge of exactly which of Mayweather’s security personnel is responsible for the actual act of the assault. There are also not enough facts supporting Mayweather’s involvement. Though the case has been dismissed, Judge Cory is allowing the plaintiff’s attorney an opportunity to amend the complaint. Though there is no contention that Mayweather was the person actually inflicting physical harm, if Gerling can prove that the boxer ordered the assault or in any way instigated the attack, a case can be made against him. This is very similar to the incident at the Palms in which Mayweather did not commit the physical assault, but may have had responsibility in its instigation nonetheless. Gerling was asking for over $10,000 in punitive damages as well as actual damages for medical treatment received and compensation for loss of income since he was unable to return to work. It is unclear whether he has resumed his position as a security guard as of yet. He also asserted that the injuries to his body and neck “may be permanent in nature.” Gerling’s attorney was not immediately available for comment on whether or not they would amend the complaint. These four cases do not stand alone in the field of litigation consuming Floyd Mayweather Jr. as he also faces more serious allegations of domestic abuse against ex-girlfriend Josie Harris which could hold a sentence of up to 34 years in prison if convicted on all charges. Amongst other things, the boxer is also up against copyright infringement charges for using a version of the song “Tony Gunz Beat,” for his walkout song at WWE WrestlMania 24, the rights to which belong to songwriter Anthony Dash. There is of course the Pacquiao defamation suit, which we will not get in to, and at least a half dozen others which remain active…And yes, at one point he even got sued by his own legal counsel for not paying, but since the cases keep coming there must be some sense of job security for his attorneys.